As they say if it’s too good to be true it usually is, and with a title like Earn $30,000 per Month Playing Online Poker nobody is going to be fooled. This book like many others makes many promises yet does not deliver, this can be seen that the book looks at very simple concepts and limits its focus to only single table sit and go’s. 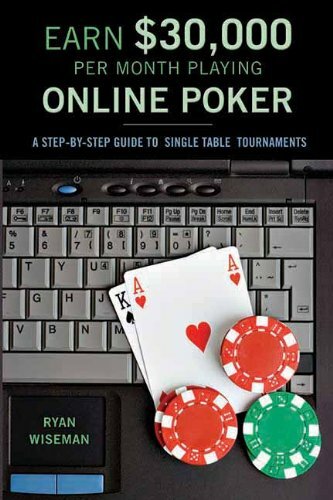 Additionally the author, Ryan Wiseman recommends for players to multi-table around 8-10 games at once and buy a lot of expensive poker software, this is all well and good in practice only if you are a very profitable sit and go player already, for a beginner this advice is poor. Finally my last point is that poker is a game some people can play their whole lives and never turn a profit, thus poker is about skill, dedication and education and there is no way reading this book is going to make any of you $30,000 per month.